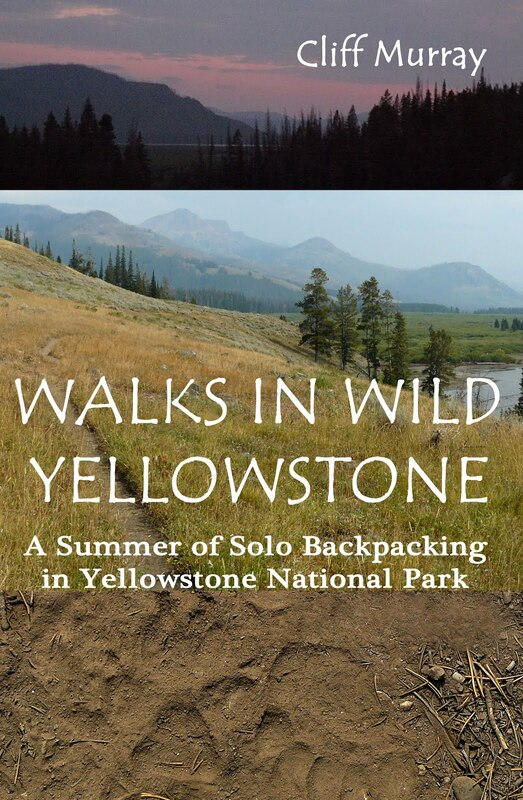 My Yellowstone Book is out! An independent author in southwest Montana. A high meadow near Douglas Knob. View from the pit toilet at site 9D3. Footbridge near Shoshone Meadows and site 8G1. After I made camp at 8G1, I set off on a day hike to Shoshone Geyser Basin, following the trail down Shoshone Creek. Various thermal features in Shoshone Geyser Basin. Back at camp. Evening at Shoshone Meadows. The following day, looking across a meadow on the upper Firehole River, near campsite 0A3. Lonestar Geyser, getting warmed up. The bicycle trail between Lonestar Geyser and the trailhead.